A card game difficult, deep and surprisingly accessible. Five years after Valve's latest big game, the legendary developer proves he still knows how to do incredible things. 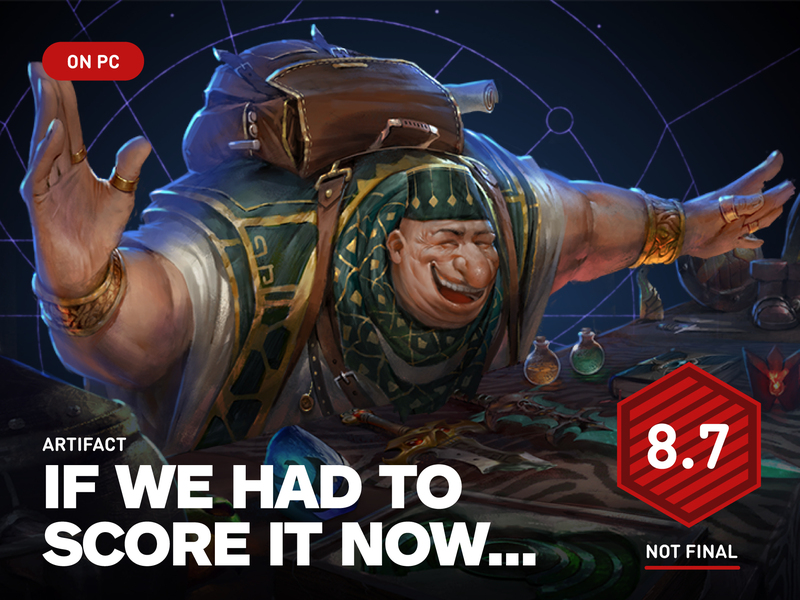 As a Dota 2 themed digital card game, Artifact may not be what people expected, but it does exactly what Valve is known for: it's something different and exciting in an established genre, housed in the most detailed and refined packaging possible. Artifact stands out from many other card games that originated in Magic: The Gathering – a game created by Artifact's designer, Richard Garfield, in 1993 – dividing the playing field into three tracks and allowing you to choose five persistent heroes. bridge that strengthens and reappears throughout the match. Although Hearthstone or Magic fans have a habit of playing cards and dealing damage, the way Artifact reminds you of this is fundamentally different. Instead of trying to kill your opponent, you have to win two of the three lanes by destroying their turns. The players come and go in one lane doing a single action until both of them do nothing and move on, then the fight happens and you go to the next lane and start again. This requires you to think carefully about each move you make, because using one card in one way does not mean that it can not be better in another. The design of Artifact has a beautiful asymmetry. Since you have to choose five heroes among its four colors and then divide them into three ways, none of these decisions can ever be taken equally and you will always be left with a strange color balance and generally unbalanced pathways. This imbalance punishes much more positioning and deck-building errors than many card games do, but it also makes every decision more important and more impactful. I liked having to think about the color that I might need in a way for several heroes. Each of the four colors has its own unique and interesting style of play. For example, red heroes usually have the strongest stats, green cards can help you get more mana to play huge cards called Creeps, blue has the best access to powerful AoE spells, and black can generate tons of gold to buy your heroes mid-game. Each color has more strategic orientations, and there is plenty of room to find a personal preference here. Colors can be mixed and matched, but you can only play cards in a track if you have a hero of the same color. This makes adding color a game of balance and choosing the corridors to deploy these heroes in a puzzle. The heroes will usually stay in a hallway until they die or you use an object or ability to move them, and I loved having thought about the color that he might need. in a corridor given in several corridors. Although you can create monochrome decks, I found them much less fun than those containing two or even three colors. I love playing with the color limits of the cards, ensuring I have the right color of heroes when I need them. Mixing colors also gives you access to more varied strategies: if you create a blue deck to create a full Creeps table, you can associate it with Creep's green color cards, destroying the tower's potential. black or the more powerful heroes of red to balance the blues. the weakest. Sometimes Artifact feels less like you're trying to fight for a kill and rather you're trying to delay your own death to just a little after your opponent's. The three ways of the artifact also mean that you are not locked into the more traditional attacker / defender roles that are played in other card games, as you will often have to do both at once. You could be aggressive pushing one way while trying to defend yourself frantically in another. I really enjoyed the fact that these roles are mixed because it makes lost games less hopeless. Sometimes the strategy in Artifact gives less the impression that you are trying to fight for a kill and rather that you are simply trying to delay your own death a little longer than your opponent is delaying it. As the game always runs from left to right, it does not matter if you will lose 100% a match in the right lane if you can win in the left before that happens. I was constantly fighting to save a turn one more lap in order to win the time to win elsewhere, creating tense matches with many opportunities to overtake your opponent. Although the required multitasking is initially a source of headaches, it has never been really overwhelming. You have to keep a huge eye, but you always do one thing at a time, then let your opponent answer. It splits the decision making into digestible pieces the size of a mouthful, while allowing for a senseless amount of strategies, once you are more comfortable with the basics. All these thoughts can however make game times a little long. I have never found this unreasonable, on average between 20-30 minutes, but it makes it more difficult to dive into Artifact for an occasional match with something like Hearthstone. But my most rewarding wins in Artifact were the ones I planned in advance. But my most rewarding wins in Artifact were the ones I planned in advance. Examine the three panels and develop a plan that does not take into account the path you were fighting in, but changing lanes in the next round was always extremely rewarding when it paid off. The Initiative system, which allows the first player on a track to act first, is an important part of this system. This means that if I want to use a card like Intimidation to send one of my opponent's heroes to another random way before they can play a card with this hero, I should play the tracks before that one in an extremely passive way (potentially happen) just to make sure I had an initiative to act first. But having the initiative is not always a good thing. Playing first means that your opponent has the first chance to answer. You must try to block your actions until they have shown their hand. I like the fact that the decisions that the Artifact requires you to make are not flawless – there is not always a "better" thing to do, and it really depends on you to decide if you are interested in the situation you are in. first or second. Artifact is also one of the few digital card games I've played that do not make me miss Magic's "Instant" cards, which can be played during your opponent's turn. It's an easy effect to implement in a physics card game because you can simply interrupt your opponent and say "I've got this instant card", but you can not do it digitally. Deleting moments normally means that you have less time to significantly counter your opponent during a match, but this is not the case for Artifact. Hearthstone has introduced half-measure secret cards to help add interaction to the opponent's turn, while in other games like Hex, you clumsily prioritize each time your opponent does something. if you want to use a card. No method is getting closer to the Artifact, which has completely made me forget Instant Cards. Because you are constantly back and forth with one action at a time, each card is basically an instant. Each card can be an answer or an answer without slowing down or introducing a new type of card. It's brilliant in its elegance. A sometimes frustrating aspect of Artefact is the unpredictability of some of its effects. For example, two very low Basic Creeps are deployed for both players between rounds, but the lanes in which they appear and where they are placed are random and this placement can make a big difference during a given match. Targeting arrows are also randomly distributed, but at least they can be more easily modified or adjusted with the right cards and items. To be clear, winning a game of Artifact involves a huge skill, and the best player and the best plan will usually win in the long run. But it's always frustrating that the difference between taking one lap or another is a bad creepy spawn configuration or a poorly-pointed arrow, and cards like Cheating Death – which gives units in a 50% way chances of not doing it. die – s 'still worsens in the moment, no matter if it' s balanced or not. Of course, planning for poor results is an essential part of your overall strategy, just like in games like Fire Emblem or XCOM, and I never felt as if those random effects had been undermined. Making the most of an unforeseen situation is part of the challenge. There is an absurd amount of well articulated dialogues in Artifact, much of which is hidden behind extremely specific interactions. In the spirit of managing three lanes, it's more details that a person would never have been able to find (but the Internet will probably be collectively pretty fast). There is an absurd amount of dialogues well expressed in Artifact, much of which is hidden behind extremely specific interactions between Heroes or Creeps. For example, the satyr duelist will say different things according to the green friendly hero used to play it. These interactions are innumerable, but there are other more subtle ones. Playing the Bronze Legionnaire's Slip to block the Commander of the Hero's Legion – canonically his leader – will push him to apologize to him. And it becomes even more complex than that: if the rebellious lure died in battle but traded with the green hero Rix, the lure will say with emotion "Rix, you saved me! ", Which indicates that there is a real story . It's because there are some. You can just throw those cards and blow up some tricks without paying attention to any of that, but there is a deep well of history and history of Dota 2 hidden just beneath Artifact's surface . Each card contains one paragraph or more of text that can be viewed in the collection, which is fully expressed. Digging into this legend tells the story of Artifact's initial call-to-arms card game – an unnecessarily detailed account of three warring factions with an online comic book. Again, you can avoid this completely if you wish, but it is incredibly pleasing and rewarding to note that all these cards and characters are connected by more than just colors. It's for real reasons that some cards have the abilities they have. For example, Lodestone Demolition deals damage to the tower equal to your enemy's armor, as it tells the story of a battle where a magnetic bomb was used to fire the heavily armored Bronze Legion through its own fortifications. This added flavor makes each card thinner than thin paper. The charming Deck Imps have no impact on the game, but they bring so much life and character to Artifact. The music and the art in Artifact are also top notch. The score will move as the towers are destroyed or damage is threatened, as well as the adorably expressive Deck Imp buddy that each player has. These charming little creatures do not affect the game, but they bring so much life and character to Artifact. They will remove swords when you equip one on a hero, you make a frantic gesture towards your turn, or they will release a broom to sweep the side of your opponent when you have eliminated all their units. There is also a ridiculous amount of small touches of quality of life. Combat damage that is clearly displayed in advance is so important to understand the outcome of your actions. Plus, tons of help bubbles explaining every little thing help make a complex game easier to handle. Other elements, such as a built-in game tracker, allow you to see how long an opponent holds each of his cards when you hover over them or if any revealed cards are displayed, the up side, this which is useful for frosting on an already well decorated decor. cake. Artifact is more modeled after a physical deck of cards than digital with regard to the constitution of your collection. Its selling price is $ 20. It contains 10 packs of $ 2 cards, two sets of starter cards and five $ 1 event tickets that allow you to play his Gauntlet modes. They allow you to win your entry ticket, as well as free card packages if you are successful. enough. Since Artifact contains more than $ 20 in play, it's less a price and a way to warn everyone that it's not a free game. Although it is not alive until the very end of the beta (that's where all my experience comes from today), Artifact has a market where you can buy and sell cards for the first time. real money. There is no free currency here, so you have to earn Gauntlets or pay money to get new cards, which will be familiar to anyone with physical and potentially unpleasant card game experience. for players coming from a free game. digital card game background. Fortunately, each pack of 12 cards includes a Rare (the rarest of the three cards Artifact), which avoids looking for hard-to-get cards with incredibly low drop rates. However, a considerable advantage over almost all card games is the inclusion by Artifact of a totally free mode. Here, you open card packs and build a game with the cards you take, then you fight against other games. Draft is Artifact's most powerful mode, more fun than the classic game because of the strategy and unpredictability of building a deck on the fly. Even if you do not keep the cards you choose and do not play for rewards in the free version of Draft, the fact that you can still play draft without spending a dime is a huge deal. He gives up the feeling of "this person just spent more money for cards than me" because everyone is on an equal footing. It also allows you to train for both gantelet projects that cost event tickets and put rewards on the line. One of them even allows you to provide your own packs and keep the cards you choose. Artifact's economy seemed harmless to me in the beta, especially if it was possible to win cards with real money value simply by getting by in Gauntlets. The biggest question that remains unanswered is what will happen now that the leafs of the market are open, which I will monitor closely. The price of building a good deck is hard to predict and could make or break Artifact's built-in format, but at least draft mode is not affected that way. 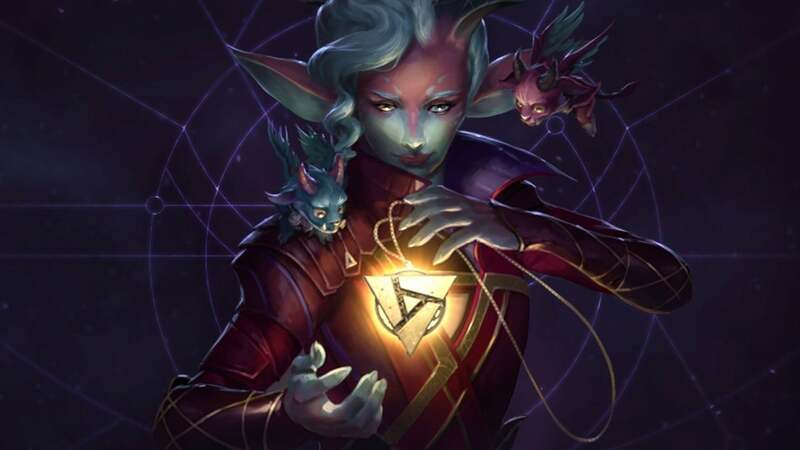 Although this is one of the most refined and detailed digital card games I've played, Artifact feels it could have gotten into Early Access if Valve wanted to use that label. I do not think that should be the case, and it does not seem in any way unfinished, but it is clearly a game that leaves a lot of room for improvement. In the current state of things, it sometimes seems that it lacks a few layers of expected functionality apart from its already fantastic experience in match. Artifact is already a ton of fun, but it still lacks some of the most important hooks I've been expecting from a competitive online game. The biggest omission is any kind of progression system. Artifact's Gauntlet modes are set to look more like mini-tournaments (and there's a tournament creator in play for those who are interested), but that means there's no ranking or statistical tracking . You can see how many of your five-win Gauntlets you've won, but I long for something like a profile page to show me the total of my games played or won, my most played colors or my heroes, and as many other data that Valve can share. . It's a bit refreshing for a game not to immediately point to a ranked scale as the only reason to play. I always come back to Artifact only for the pleasure it has to do, but not for it I still miss the biggest hooks in the picture I was expecting from a competitive online game. Along with tracking and advancing statistics, personalization or aesthetic options would reinforce my obsession with the already impressive mechanical core of Artifact. That said, I am confident about Artifact's future. If the rapid progress made during the beta release is an indication, it is a game that will only improve after the launch. Valve has listened to the community and is making some big and fantastic changes – like a way to turn useless cards into event tickets or add exceptionally generous drafting mode. Valve has even publicly stated that the addition of progress systems is at the top of its to-do list after launch. Over the next two weeks, I will continue to play Artifact and test its features. We still do not know how it will work, and poor countries that exclude the pleasure of playing have already ruined card games – but again, I've been playing for weeks without any way to get specific cards beyond opening random packages, which is frustrating in itself. I imagine that the market will also be turbulent at first, so I want to make sure that I give it time to settle down. I will update this current review with further reflections as the market grows, and I will probably assign the final score to Artifact next week. But until then, I am delighted with what is already there. It's a challenging, deep and surprisingly accessible card game that breaks many of the conventions I've come to expect of the genre. This mechanical joy is complemented by countless Easter eggs and a detailed tradition, but we are still waiting for more significant progress or statistical monitoring. Even if the market is far from ideal, the perfectly uniform playing conditions of the Draft mode are so amusing that it is probably worth the price of a single admission.